Flat pliable shell ranging in colour from brown to green to beige. Head and limbs are generally olive green from above, and white or grey from below. 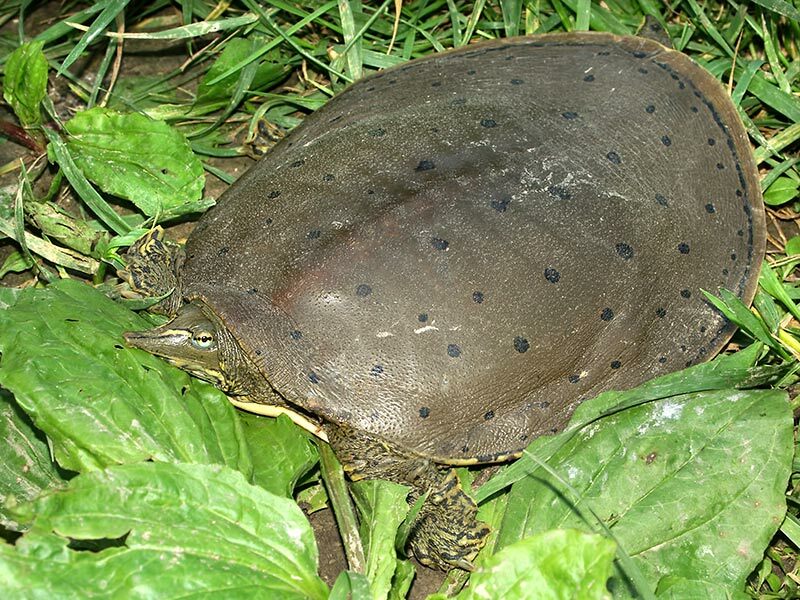 The Spiny Softshell can have a neck approximately ¾ of its shell length, and has a long tubular nose. Habitat: Spiny Softshells are generally found in rivers or lakes with abundant aquatic vegetation and soft, sandy or muddy bottoms. They can be found basking along riverbanks or on rocks. Notes: Female Spiny Softshells can be twice the size of males. Well adapted to swimming, these turtles can move very quickly in water as well as on land.